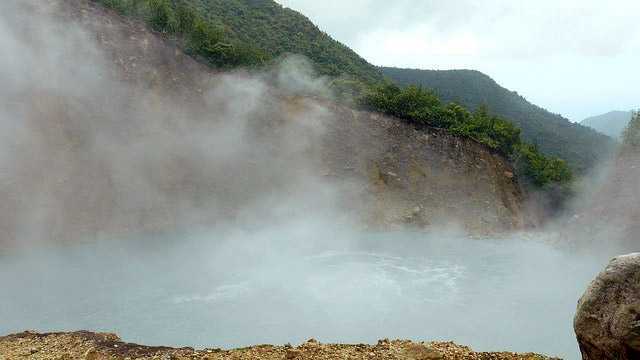 The second largest hot lake in the world is Boiling Lake in Dominica – only the Frying Pan Lake in New Zealand is larger. Boiling Lake is located on the flanks of Morne Watt volcano (1 224 m tall). This lake is found in a lush tropical forest, some 780 – 800 m above the sea level. Boiling Lake has formed in an explosion crater – here groundwater reached overheated rocks and the pressure of steam caused a spectacular explosion, leaving a deep and wide scar in the ground. Such event is called – phreatic eruption. 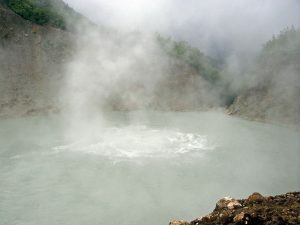 The crater of the Boiling lake is 85 by 75 m large. Information about the depth is contradicting (or – may be changing?). In 1875 the measured depth exceeded 59 m, but now the reported depth is 10 – 15 m.
The mountains of Dominica are shrouded in clouds for most of the time – climate here is very wet. Soon after the eruption the crater was filled with rainwater and several small streams. At the bottom of this lake is located fumarole – a vent which emits hot steam and gases with high content of sulphur and arsenic. As a result the lake is constantly bubbling: it emits gases and is roughly 90 °C hot in the middle. Bubbles of boiling groundwater rise up through the lake and heat the lake water. Water of this weird lake is greyish-blue, acidic. Whole area is shrouded in an eternal cloud of vapour. 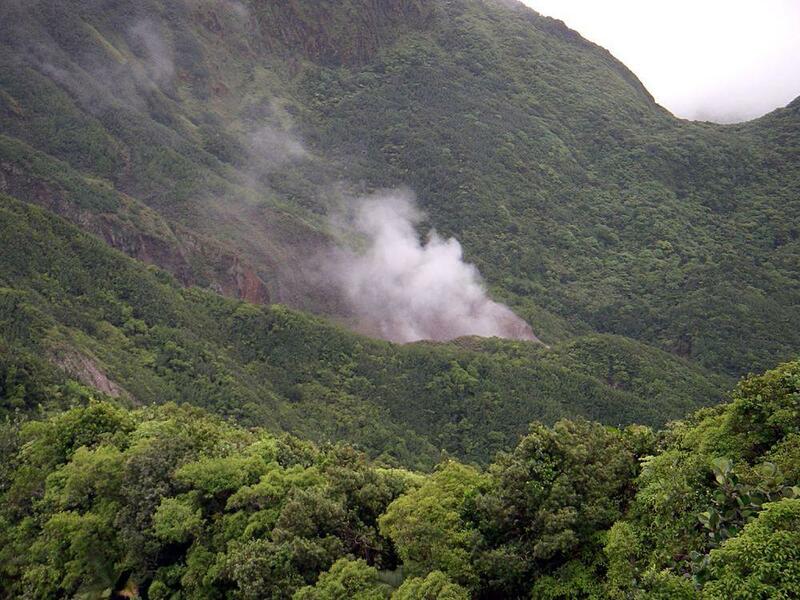 Latest eruption of Morne Watt volcano took place around 640 AD – thus it is possible that Boiling Lake is not much older. This crater lake is constantly changing. 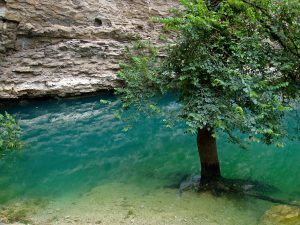 Thus – in 1870, when it was discovered by first Europeans – Mr. Watt and Dr. Nicholls – the lake was large and deep. Soon after there happened a phreatic eruption near the lake (in Valley of Desolation) and around 1880 this lake became almost empty. In the centre of former lake formed a fountain of hot water, similar to a geyser. It was up to 18 m high. Later, as the water filled the grater, it disappeared. In December 2004 there was another phreatic explosion nearby and level of Boiling Lake fell again for some 10 m – until the April 2005. Now it is filled with boiling water again. 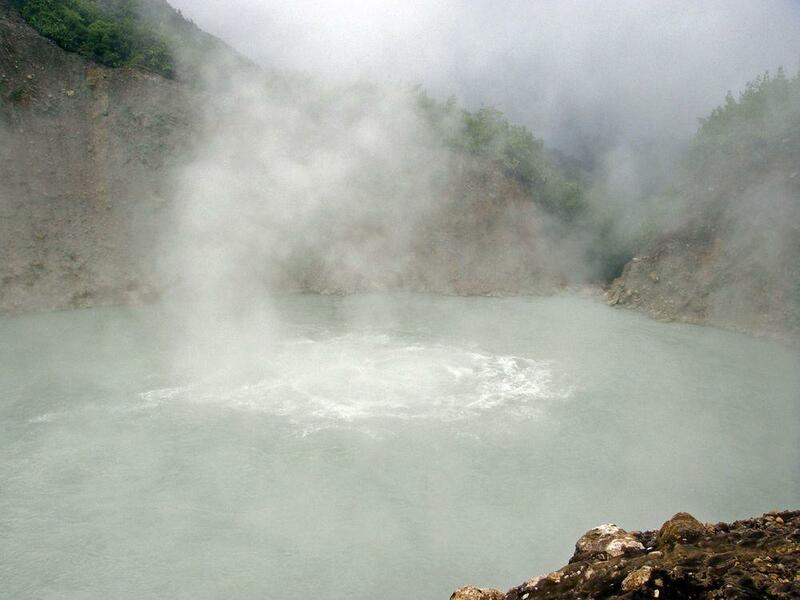 Today Boiling Lake is one of the most interesting tourist attractions in Dominica. In order to access it tourists are walking 13 km along a spectacular path through the rainforest. Lake has tall, steep banks and it is dangerous to walk too near to it. 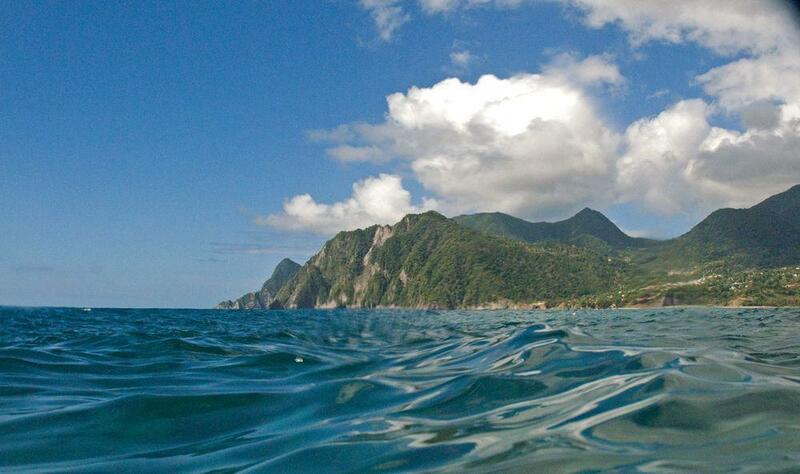 Dominica is one of the most beautiful Caribbean islands. Geothermal features, including the second largest hot spring lake in the world – Boiling Lake. Waterfalls – scenic and powerful falls in a lush jungle setting. This text traces the origin and development of this island from its volcanic formation to 1994. The author interweaves the island’s history with geography, ecology, folklore and social custom to inform the reader about both Dominica and Caribbean history as a whole.